Anyone who has seen the speedy Finn on the run will be looking for her once the marathon starts. Even when Lucy was running well in Kona, Kaisa’s marathon was 6 minutes quicker, so even if Lucy reaches T2 with a large lead, the race will be far from over. But in order for Kaisa to be in a position to run down Lucy, she has to have a good swim and bike. She should be about a minute quicker in the swim than Laura and Yvonne, but when they bridge up to her they won’t make it easy for her to tuck in behind them. Even when she isn’t able to ride with Laura and Yvonne, she is experienced enough not to lose too much time, but it’s probably going to take some extra energy that she’d like to save for the run. If Kaisa is within eight, maybe even ten minutes at the start of the marathon to Lucy, things could still get very interesting towards the end of the run. Kaisa was racing all alone in Kona for most of the day. I’m sure she’ll be running hard in Roth whatever the race situation will be. It would be a surprise not to see her at least in podium contention in the last hour of the race. Thorsten: For the last years you have raced an early season IM, usually IM South Africa in April. This year your build towards Kona looks a bit different? Kaisa: Even in Finland, those who have been following triathlon know the about Roth, especially those who followed the sport already back in the nineties. I think the race still has the reputation of being the second biggest race after Kona. 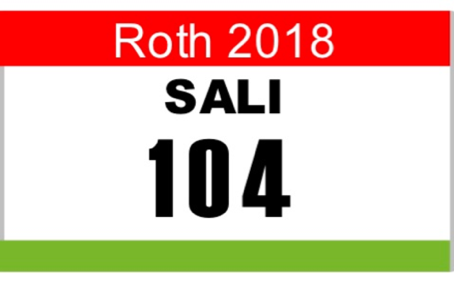 I have been dreaming about doing Roth for many years and now as I have “stamped my ticket” to Kona [Kaisa won IM Arizona in November 2017], there is a great opportunity to do it. I like both the hills and the flats and many athletes who have raced in Roth have said to me that I will love the bike course so I am super excited to get there! At the beginning of the training season my coach Siri Lindley and I were still thinking about doing IM South Africa in addition to Roth, but in the end we made the decision to skip it as we feel that for me only one Ironman distance race before Kona is the perfect way to make sure I am in top shape late in the season at Big Island. Siri also has good experiences from other athletes who have done Roth before Kona so I am very excited about this season plan. T: Where did you prep for Roth? It looks like you’ve been in Boulder training with Siri? K: During the winter my husband Markus and I were living in northern part of Italy, which we liked a lot. But as the winter was colder than normal in Europe, it did mean lots of sweating indoors. This was mentally very tough, but physically it seems to have been pretty effective. In late spring I have been in Boulder for six weeks training with Siri and my teammates. From there I also did IM 70.3 Monterrey as a hard training race and next week I will be flying to Europe to do Challenge the Championship as another brutal speed exercise and a test of where the fitness level is. [Kaisa finished 5th in Samorin, seven minutes behind Lucy.] After this we will go back to Italy to do the final block for Roth. T: You’ve had a great run battle at 70.3 Monterrey with Mirinda Carfrae. What are you taking away from that win? K: It was awesome to take the win in Monterrey, especially as I really did not expect to be able to hold myself together until the finishing line after all the hard training days I had done just before the race. I am sure Rinny will be able to do a great race in Cairns. We have been training together here in Boulder and it has been good to see how well she has been able to build back her fitness and how amazingly well she is able to balance her new life as a mother and a pro triathlete. But whatever happens in Cairns, I am sure she will be even stronger in Kona! T: Your fastest IM time is still from your first IM in Barcelona. How important is setting a “new personal record” in Roth to you? K: I never go to races trying to make a good time as in triathlon there are so many things that do affect to the speed. I think that is also a big reason for my first IM race still being my fastest as I really do not think it was my best performance so far. So I will go to Roth to do the best swim-bike-run combination possible for me that day and of course if that leads to doing a new record or getting a good placing, I will be super happy. T: In Kona Lucy Charles was in front of you all day, and the gap after the swim was probably larger than what you were hoping for. K: It is not a secret that I have been struggling with my swimming in many races and Kona was an example where I did underperform compared to how well the swimming had gone in training. In Roth the flat wetsuit swim will obviously make the swimming times a little more even, but still I am sure Lucy will fly far in front, she is just such an amazing and fierce mermaid! For me the best plan for Ironman distance racing is to focus on my own race. In my best races I have been just listening to my own body and making the decisions about pacing according to how I feel. 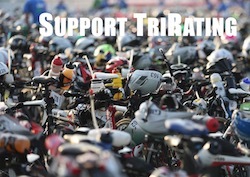 Of course you are also all the time racing against the others but I feel it is better not to overthink beforehand how everyone will probably do, you will anyway see it during the race and in an Ironman there is plenty of time to make plans on the go.